In the 145 year history of the Jack Daniel Distillery there have been only seven Master Distillers. The person who holds this title is not only responsible for overseeing the entire whiskey-making process, but also becomes the face of Jack Daniels through advertising and promotional events held worldwide. The first person to fill this role was the one and only Jack Daniel; a perfectionist who knew exactly how he wanted every drop of his whiskey made. 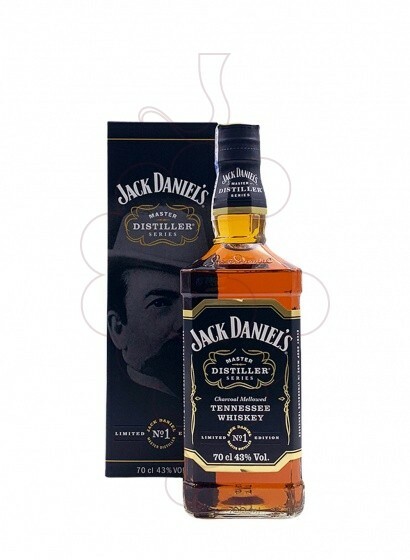 The first edition from this collection is released to honour the first of the seven Master Distillers, Mr. Jack Daniel. Whisky Jack Daniels Master Distiller Nº1 , one of the more than 9000 products you can find in our online shop.